This simple little white cotton blend batiste long christening slip was made by Rosalina, a leading manufacturer of quality children's garments. 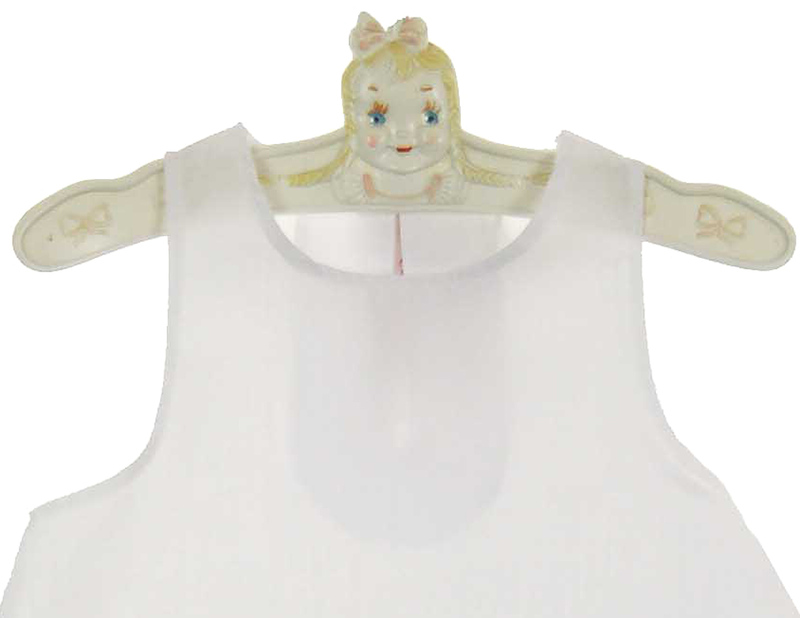 It features A-line styling with deep cut, armholes, and a half inch hem. It has a button and loop back closure. 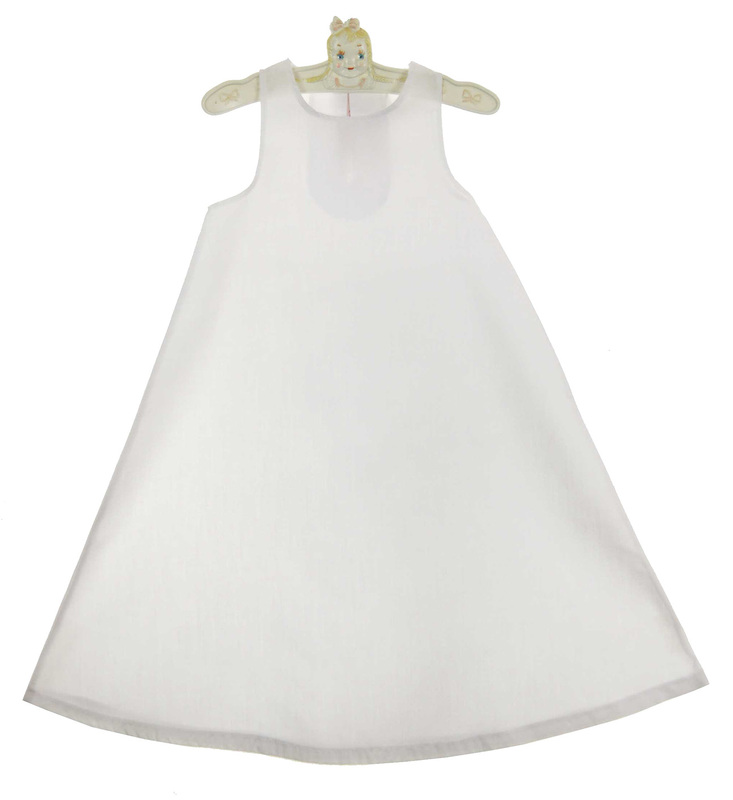 Perfect under your little one's christening or baptism gown. Note: length is measured from top of shoulder seam at neckline to bottom of hem lace. One size will fit up to 12 months. This slip is also available in antique white (pale ivory). See below.